Periodic LED Speed Limit signs are designed for use in locations where a special Periodic Speed Limit is required – outside schools, in towns or villages, in traffic calming schemes – or any area where a reduced speed limit is required for a specific period or duration, in order to reduce speed and increase safety for pedestrians. Using the latest technology ultra-bright LED’s, our Periodic Speed Limit signs are fully programmable and can be easily set up to start or stop displaying at pre-determined times & dates to provide daily, weekly and yearly control. They are available in both mains or solar powered options. The solar powered version makes them ideal for use in locations where mains power main is not available, such are rural areas. Being solar powered, they require virtually no maintenance and provide years of trouble-free performance. PWS offer a fully installation service and are qualified to act as PSCS for the installation of Periodic Speed Limit signs. 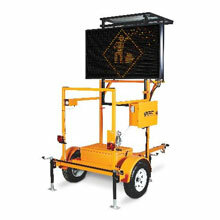 Additionally, we can design and provide any Traffic Management requirements for the installation, fully in accordance with Chapter 8 requirements.